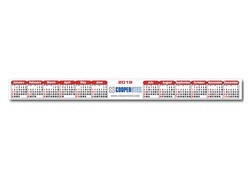 The #1 selling calendar in the industry. Calendars are standard in black and red. 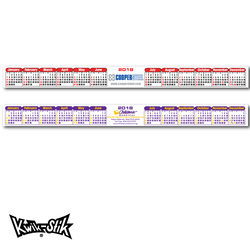 This calendar is easy to fold and mail. Easy, clean removal for replacement at the end of the year. 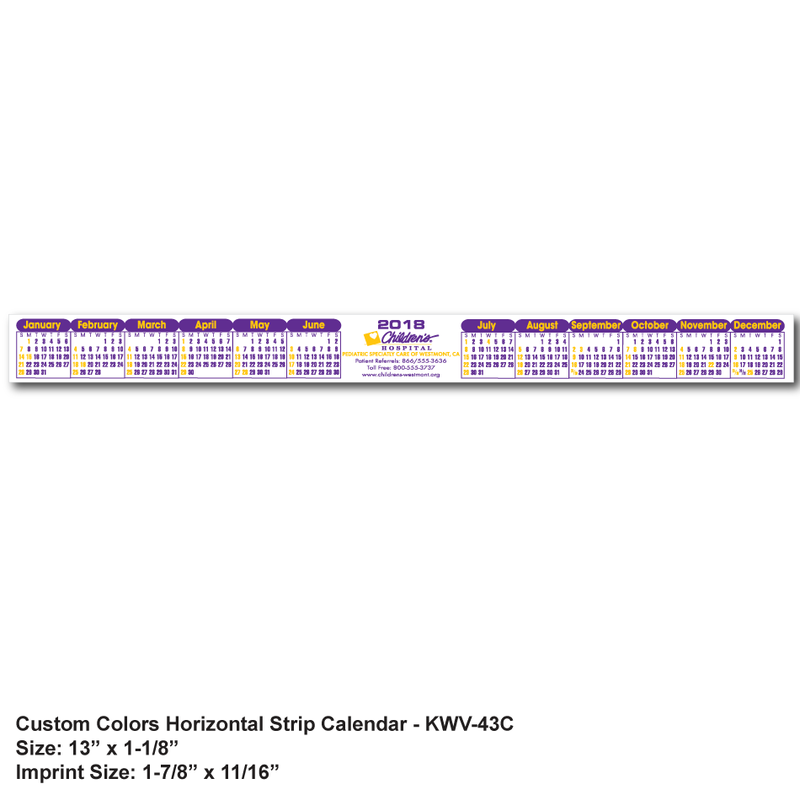 Vinyl base with ultra removable adhesive back for convenient replacement each year. 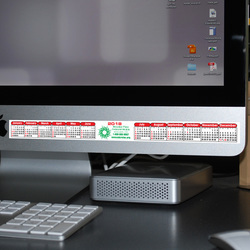 KWV-43 Calendar is preprinted attractively in black and red design for easy reading. 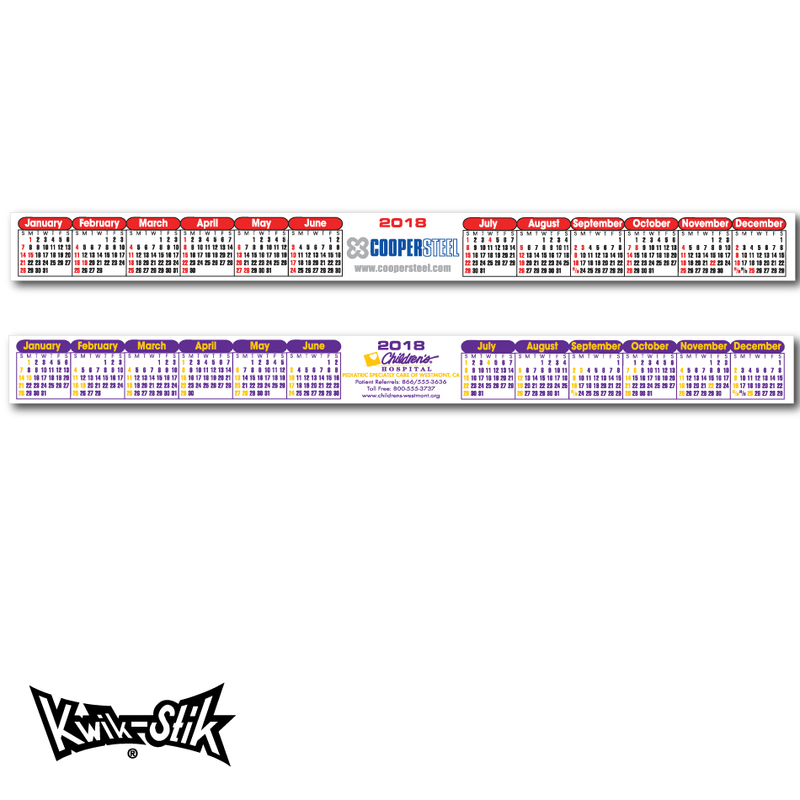 KWV-43C Calendar is printed in spot colors chosen by advertiser. 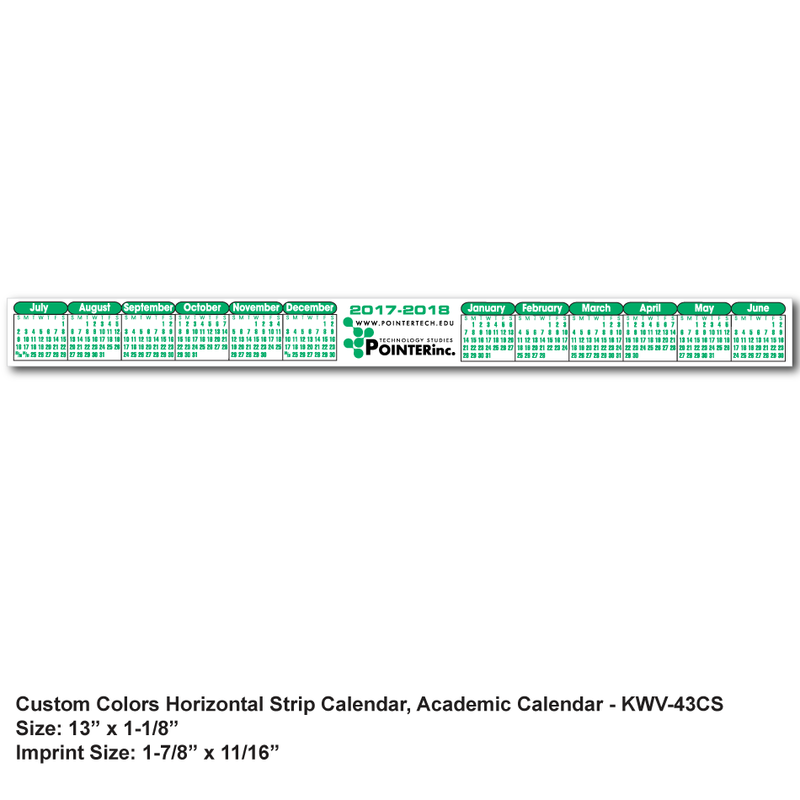 Price includes one standard color imprint. 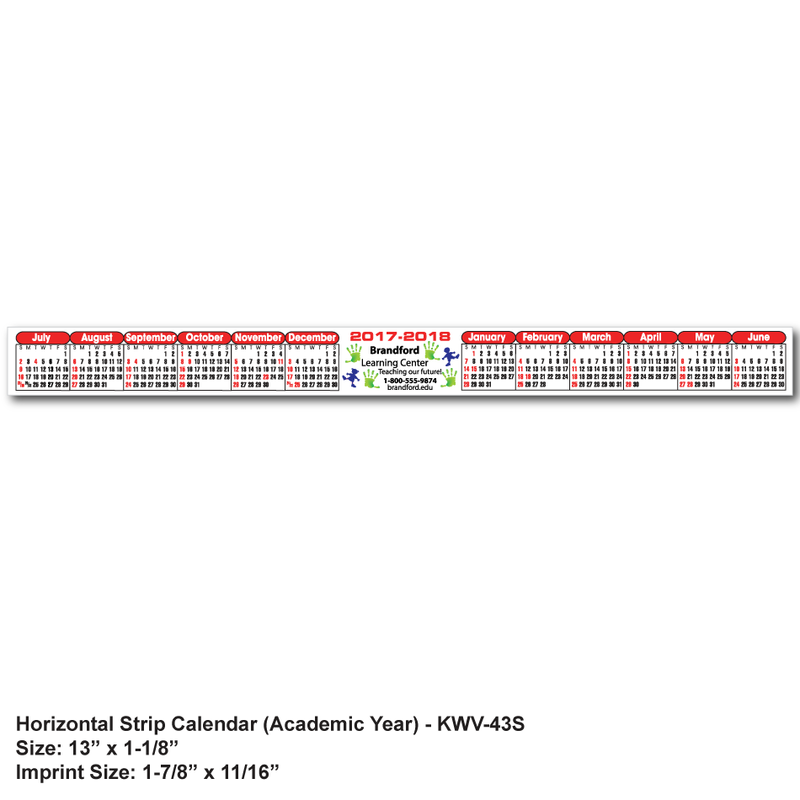 Academic Year calendar (split year) is available for the same price. The starting month is July and the ending month is June. 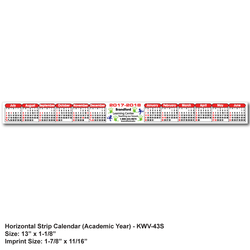 Select product code KWV-43S or KWV-43CS. 250 - 2 lbs. 1,000 - 8 lbs. • Priced each in one color on standard background. • SHIPPING: January through September is 5-7 business days. 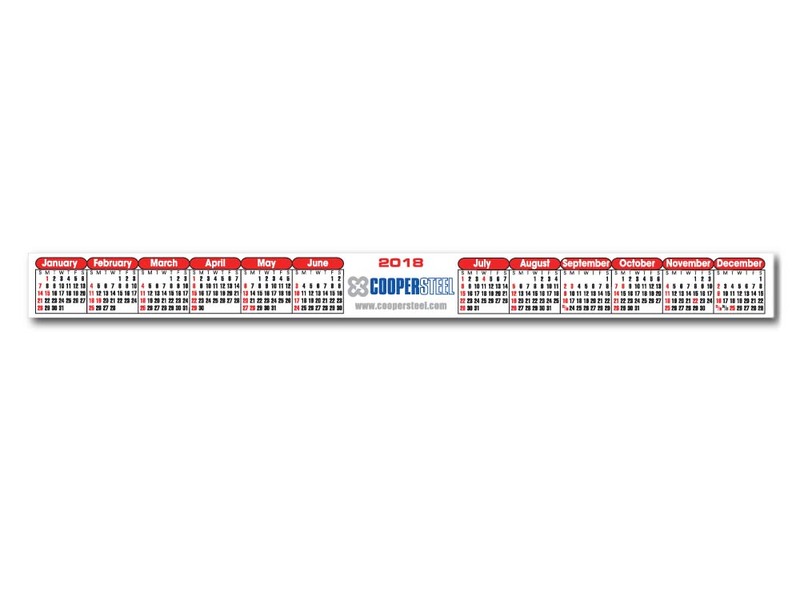 October through December is 10-15 business days. Imprint Area: 1 7/8" x 11/16"
Meets California Prop 65 requirements.